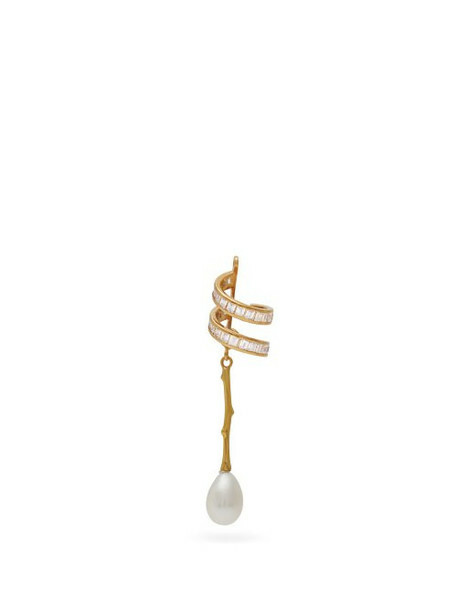 Alan Crocetti - Alan Crocetti's gold-vermeil Double Spiral ear cuff is suspended with a detachable stem and a smooth pearl - an element which features throughout the label's Anarchy lookbook. It's handmade with coiling bands encrusted with white princess-cut cubic-zirconia crystals and sits snugly on the lobe. Wear it to enliven pared-back separates.